Welcome to the Turnmaster Santa Maria Style BBQ Meat Turner by Austin Manufacturings Website! The "Turnmaster, Santa Maria Style Barbecue Meat Turner makes barbecuing easier, safer, and more fun. It’s easier than tongs, spatulas, or forks, because there’s no squeezing, chasing, stabbing, or slipping off of the fork. Here’s a unique barbecue tool with a different twist, that’s indigenous to the Santa Maria Valley, on the Central Coast of California. It’s the ”Turnmaster, Santa Maria Style Barbecue Meat Turner”. It makes barbecuing easier, safer, and more fun. It’s easier than tongs, spatulas, or forks, because there’s no squeezing, chasing, stabbing, or slipping off of the fork. Don’t get burned with this really cool tool. At 22 inches, it puts plenty of distance between your hand and the hot coals. It keeps hands away from the heat, even on large barbecues. 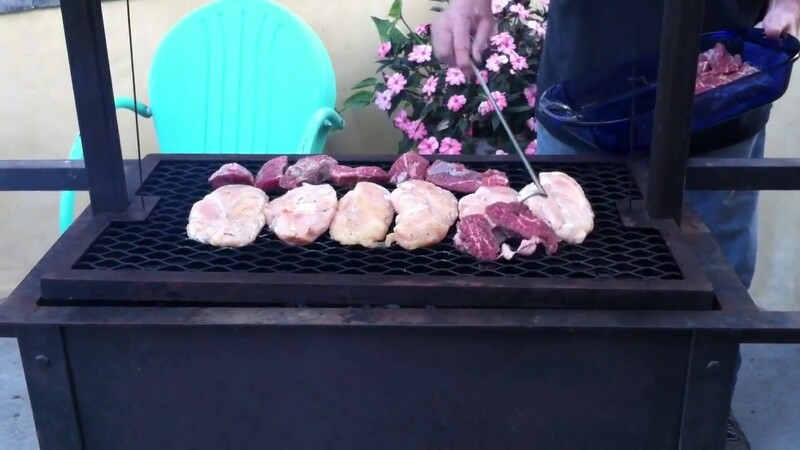 Turnmaster Santa Maria Style BBQ Meat Turner by Austin Manufacturing See it in Action! This entire, sturdy tool is fabricated from 100% aerospace grade stainless steel. It has a beautiful #18 satin finish shaft, with an ergonomically designed, easy to grip stainless steel handle, that’s “TIG” welded in place. It will never shrink, crack, split, break, burn, melt, or fall off. Quality and craftsmanship make this timeless barbecue tool, unique and dependable. It’s meant to last several generations. The “Turnmaster, Santa Maria Style Barbecue Meat Turner” has earned an endorsement from the Santa Maria Chamber of Commerce. It’s also been featured for years, alongside historical elements of the long standing “Santa Maria Style Barbecue Hall of Fame” display, in the Santa Maria Historical Society Museum. Union Bank has the distinction of having made the first auto loan in California. As a premium for opening a new checking account at the location of their first office in Santa Maria , they chose the “Turnmaster, Santa Maria Style Meat Turner” as the item indigenous to the area, to hand out to new customers at their Grand Opening Barbecue. Used by those masters of the barbecue grill at F. McLintocks, one of the most well known steak houses on the West Coast, it has also been sold in their “Merchantile” since our inception in 1992. The “Turnmaster, Santa Maria Style Barbecue Meat Turner” is a great way to wrap up your gift buying too! They’re always appreciated as a unique gift idea for just about any occasion. They’re available in both right and left handed versions. May we suggest that you save our web address, because these can be contagious. We can assure you, from our experience, that many of your friends and family will get the bug to have one, once they’ve seen yours! Now you too can be experiencing a Santa Maria Style Barbecue within days, by ordering today. You’ll also be able to enjoy the fun and ease of the barbecue “hook”, with the “Turnmaster, Santa Maria Style Barbecue Meat Turner”. Get the authentic mouth watering recipe, and a list of the components that make up this delectable feast. 100% risk free offer. We’re so confident you’ll love it we offer a three way money back guarantee. To begin with, we guarantee the quality of materials, and workmanship. Then we guarantee it will make your barbecuing easier, and more fun. Last, but not least, we guarantee that if you don’t like it for any reason, simply return it, and you’ll receive a full refund of the purchase price. Making and keeping you happy is our goal. So don’t put it off, order today and experience what others have been enjoying for years!! See how quickly, and easily steak, chicken, ribs, and chops are flipped on the grill. See the “Turnmaster, Santa Maria Style Barbecue Meat Turner” in action. See barbecue safety tips from the Santa Maria Fire Chief. DISCLAIMER: We do need to caution you though; Handle can get hot if left too near heat, and cause burns. Copyright ©2019 Austin MFG.. All Rights Reserved.